This is an exciting time to study in Athens. The “rescue” excavations of recent years, conducted during construction of the Metro system and in preparation for the 2004 Olympic Games, combined with major restoration projects and a new enthusiasm for fresh examination of old material, using new techniques and applications, brings new perspectives and answers on many aspects of the ancient city of Athens and life, politics and religion in Attica. The 15 papers presented here contribute new findings that result from intensive, first-hand examinations of the archaeological and epigraphical evidence. They illustrate how much may be gained by re-examining material from older excavations, and from the methodological shift from documenting information to closer analysis and larger historical reflection. They offer a variety of perspectives on a range of issues: the ambience of the ancient city for passers-by, filled with roadside shrines; techniques of architectural construction and sculpting; religious expression in Athens including cults of Asklepios and Serapis; the precise procedures for Greek sacrifice; how the borders of Attica were defined over time, and details of its road-system. 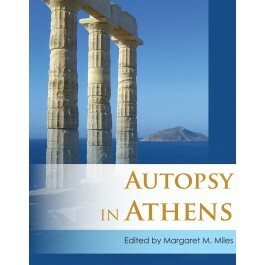 In presenting this volume the contributors are continuing in a long tradition of autopsy – in the sense of 'personal observation' – in Athens, that began even in the Hellenistic period and has continued through the writings of centuries of travellers and academics to the present day. "The iconographical, cultural, topographic and architectural analysis provide a good insight into the variance of the new research, especially in Athen and Attica."